Thank you for visiting our web site. We offer an educational, research and information service on all aspects of financial spreadbetting, and how this type of investment and trading can be used in the world’s most dynamic markets. By learning new techniques e.g. Hedging, Protecting and Leveraging and getting involved in a wider variety of Markets e.g. Metals, Currencies, Indices, and Stocks in the USA, Europe or Japan. Having the ability to Buy Shares, Currencies, Indices etc in anticipation of a rise in price and also to sell in anticipation of a fall price. Individuals Who Have Some Knowledge – of futures markets and financial spreadbetting but would like to learn more, keep abreast of developments and perhaps generate a supplementary income. More Experienced Traders – who want to take advantage of our research work and commentary on the American financial markets. So which of the above categories do you fit into? If you identify with one or more then THIS WEB SITE IS DEFINITELY FOR YOU! Remember, you always have complete freedom to read and access this website at your leisure because we don’t ask you a penny in return. One of the best ways to increase your bankroll and help you make more money from your trading is to take advantage of spread betting bonuses that providers might offer from time to time. Fierce competition amongst trading platforms means that spread betting companies are offering new clients a generous spread bet bonus when they register. We’ve reviewed the UK’s leading spread betting offers from established trading platforms to provide a list of the best promotions, along with information on how to redeem, and what exclusions there are for particular offers. All of this information will allow you to choose the best offers based on your trading habits and enable you to increase your profitability. I have negotiated a special offer with one of the most well-respected spread betting companies around. That’s Ayondo. If you already have a spread betting or CFD account with one provider such as IG or CMC, and you open a trading account with Ayondo using our link, Ayondo will credit you with up to an extra 500 GBP/EUR Cash Bonus added to your account. Terms and conditions apply, see link above for full details. 1) Have had a trading account with another cfd/spread betting broker. 2) Make a new deposit of at least £/€/CHF/USD 1000 within 2 weeks of opening an account with Ayondo (the offer period). To register for this offer email supportATayondo.com with your full name and account number, stating that you would like to register for this offer. Please supply a statement or other document showing your account with the other provider. Upon verification, Ayondo will credit your account with a cash bonus of £/€/CHF/USD 500. If you have any questions about CFDs or spreadbetting, please don’t hesitate to contact us. Have a question about spread trading? We hope you find the guide useful and informative. With promotional offers for spread bet bonuses ranging up to £10k, it is important to understand just how the bonus works and how it is paid. Whilst such large amounts may seem intimidating and imply that you have to risk huge amounts of money to redeem the bonus, it can actually be a lot easier to receive the bonus than you imagine. That is why it is important to shop around and find the most suitable bonus to your trading requirements. We advise all traders to bet responsibly and not alter your trading strategies in order to try to redeem a bonus. Spread betting bonuses should be used to compliment your existing trading strategies. We do not recommend that you increase your stakes in order to try and qualify or redeem a bonus. However, smart traders should consider switching brokers from time to time to take advantage of the best deals and prices. Always keep in mind – spread betting is a leveraged trading instrument and can be risky. So always keep bet sizes low initially and use stop losses to limit any potential damage. From The Spread Betting Team. Spread betting can be difficult to understand at the best of times for total beginners. And when there’s bonuses or offers involved the terms and conditions can be even more complex. Below we have a list of the most frequently asked questions that we hear about the spread betting offers provided on the site. How can I claim a bonus? Different spread betting platforms have different requirements for claiming a bonus. Your first step in the process is to find the bonus offer that is most appropriate for you. Use our comparison page to find detailed instructions on how to claim your bonus for the platform in question. What is the best spread betting offer? Providers are constantly coming up with new offers every month. The bigger offers tend to be more difficult to claim as they require a larger initial deposit or more opening trades. The best spread betting offer is the one that suits the amount at which you’re willing to invest. Currently, the largest spread betting offer can be found on the Intertrader one where you can receive up to £1,000. Do I need to deposit to claim a bonus offer? Unfortunately it is very rare that we come across a spread betting offer that doesn’t require a deposit. However, at the end of the day you shouldn’t rely on bonuses to make a profit trading. You need to trade profitably and trade with a provider that is honest and doesn’t charge you an arm and a leg in spreads and financing fees. How do I know when I’ve qualified for a spread betting offer? Each spread betting platform has different rules for qualifying for an offer. 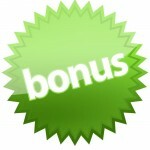 Check our offer comparison page to see what is required to claim your bonus. Your best bet (excuse the pun!) is to contact the platform’s support team via email once you think you are ready to receive your offer. With spread betting offers you are able to guarantee an increase in your ROI. However, please remember that you can lose more than your initial deposit when spread betting, so bet sensibly and enjoy your bonus!